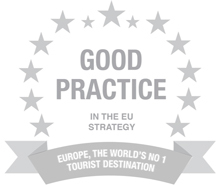 Kurbits has been awarded ”Good Practice” by the EU for cross-sector initiatives and innovation in the area of tourism as a means to stimulate competitiveness in small and medium-sized enterprises. Kurbits businesses are monitored over a five-year period – two years prior to and two years after the program year itself. Below are results from using the The SIMPLER™ method to analyze Kurbits participant businesses during 2009 and 2010. The reference group consists of non-participating small businesses with 1-20 employees. motivation. The cumulative effect is even greater. Kurbits has helped industries and regions develop.